KitSound Buddy animal speakers: Panda, pig or rabbit? We’re big fans of silly, dancing animal speakers here at Shiny Shiny, but if you’re looking for something a little more reserved for your office, then check out the new Buddy speakers from KitSound. When it comes to quality they’re pretty similar to any portable low cost speaker, but obviously you’d be buying them because they’re cute and not because you’re wanting an unrivalled audio experience. Choose between a panda, pig, rabbit, koala, bear and then some kind of ghost thing. 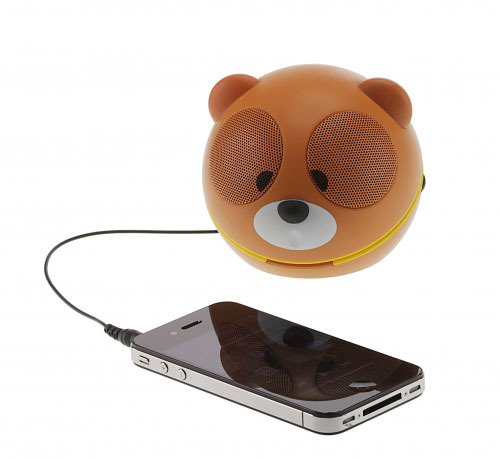 Ideal for kids and those that just want a cheap and cheerful speaker that looks a little different. Available from Currys for £19.99. Virgin Media to offer free Spotify access over 3G. Other networks to follow? I have a pair of these and they work well.